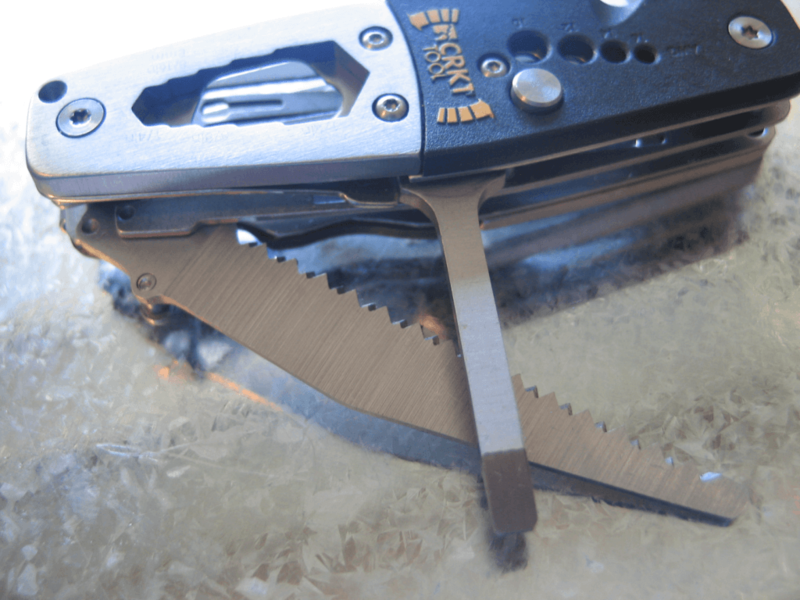 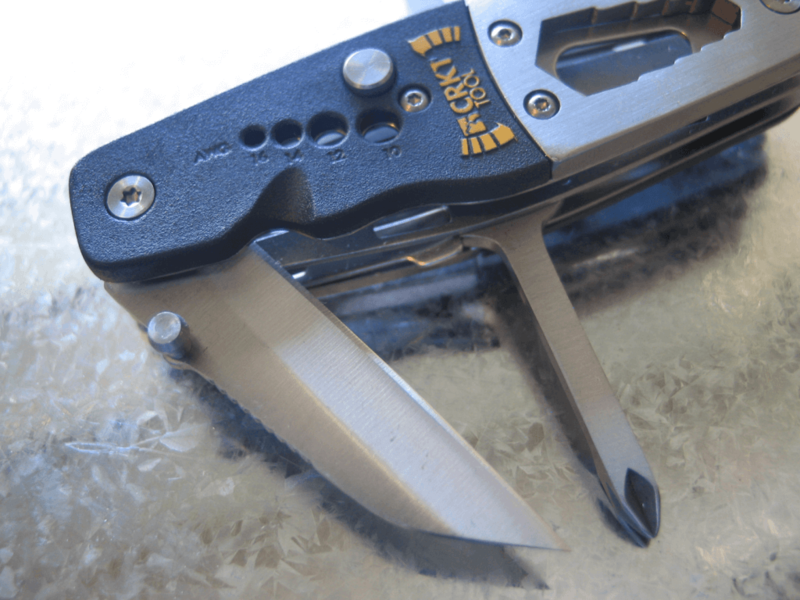 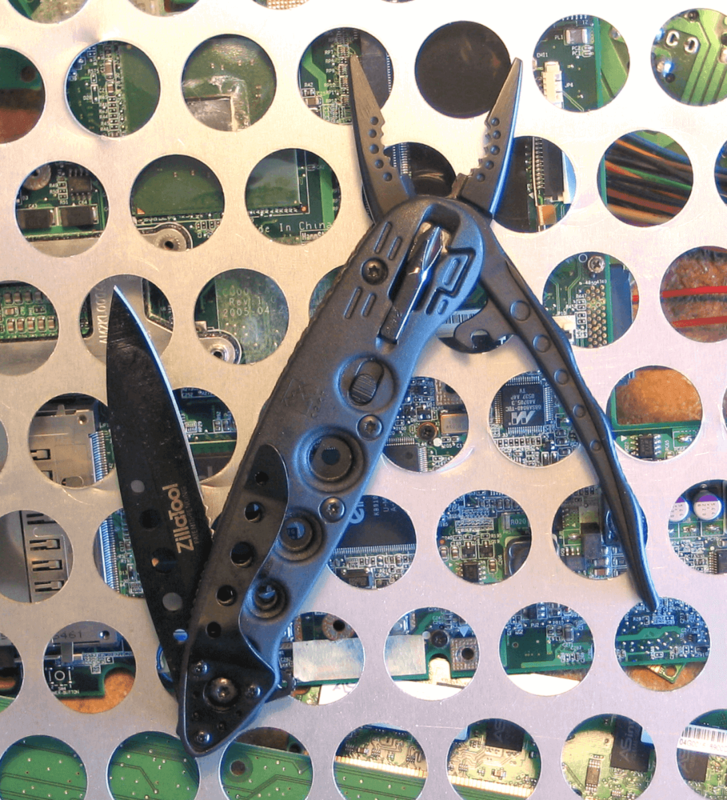 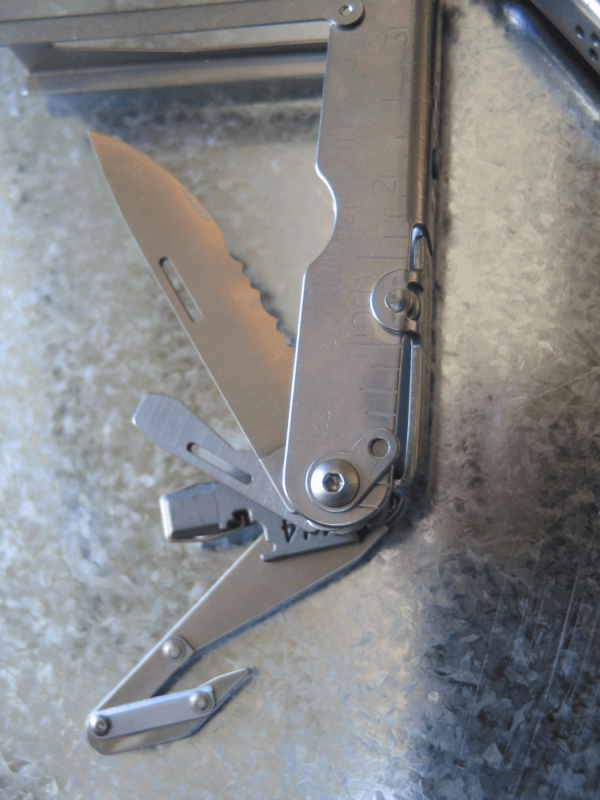 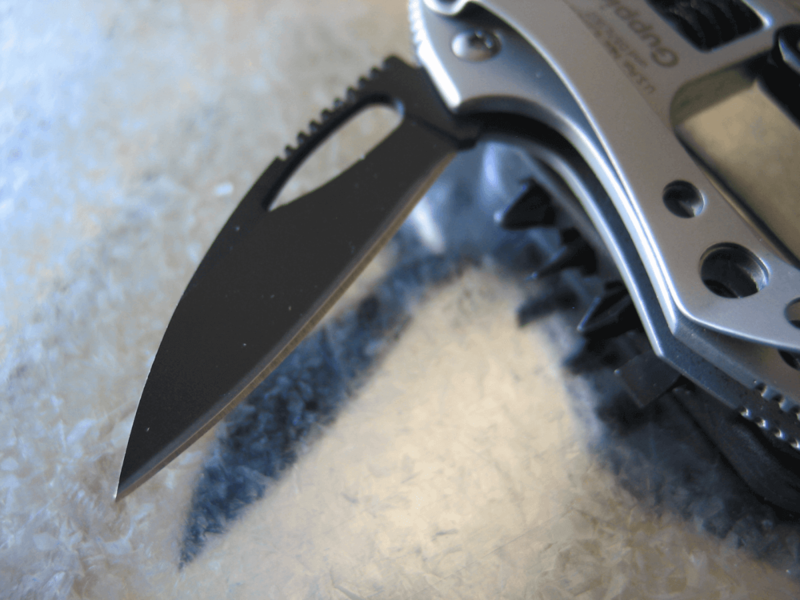 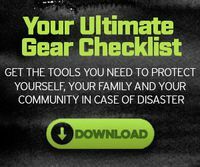 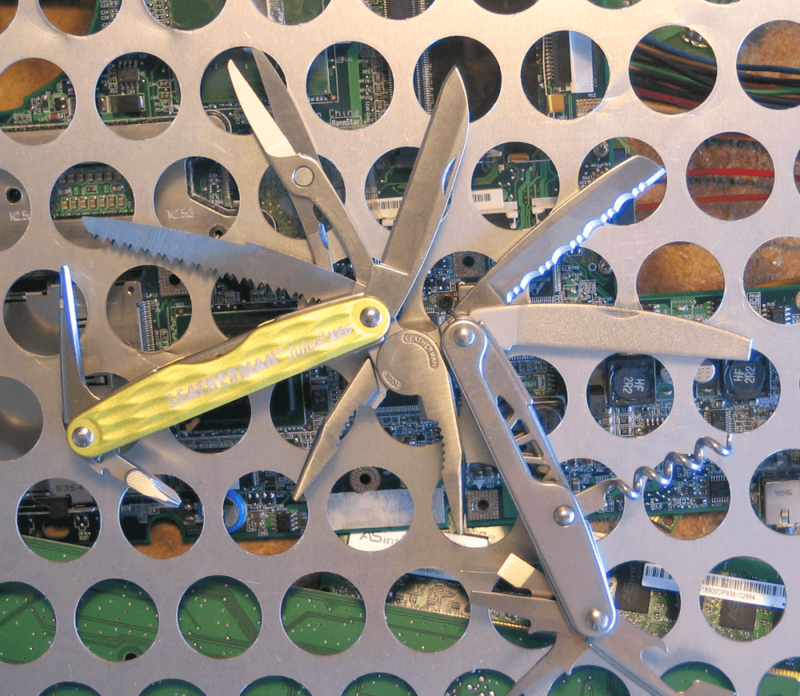 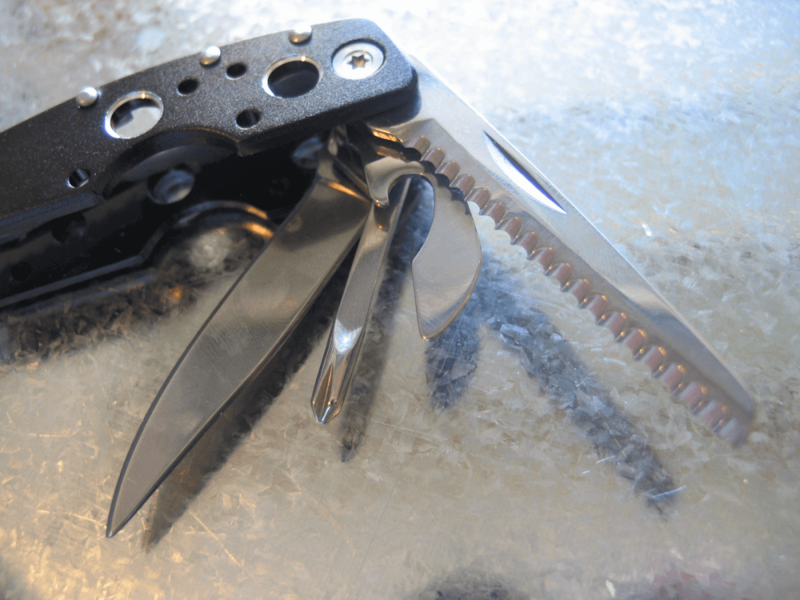 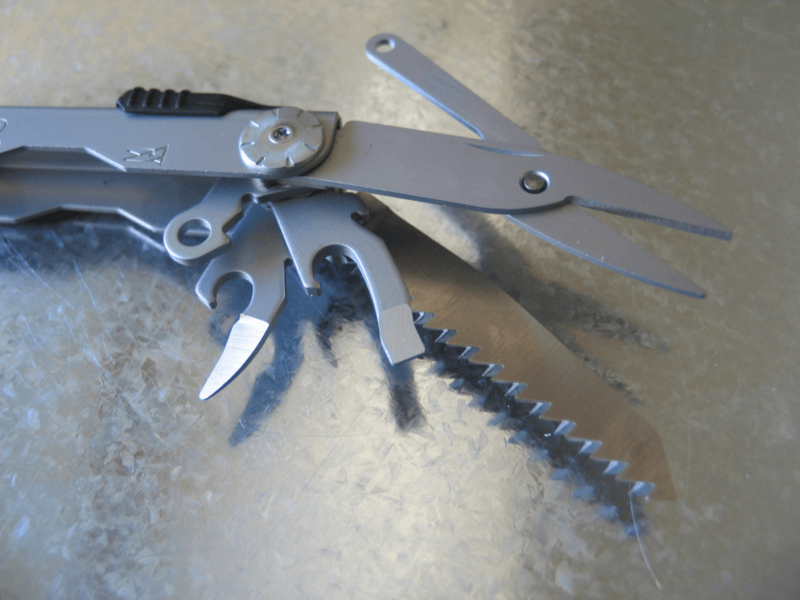 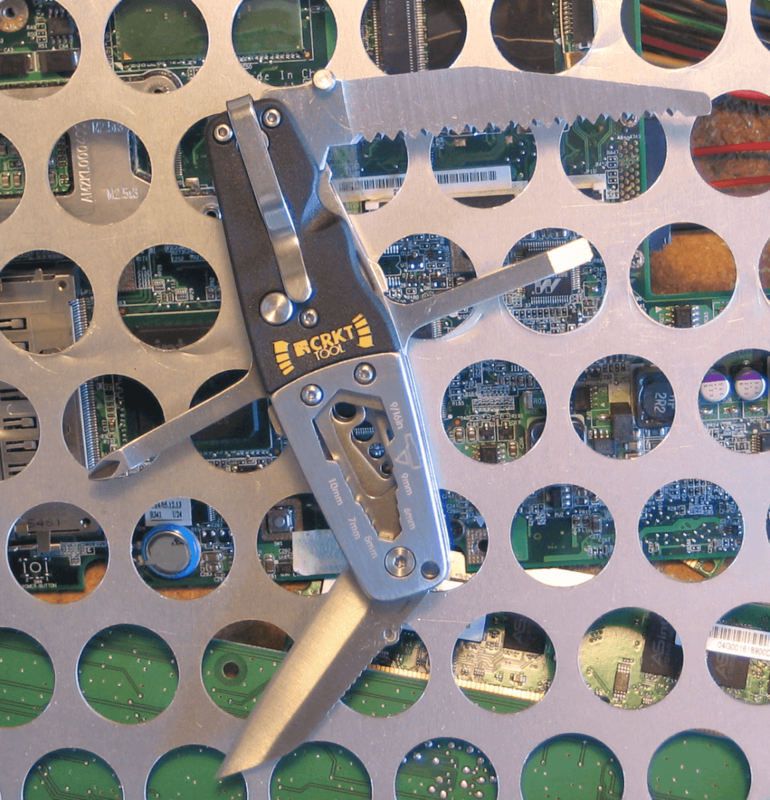 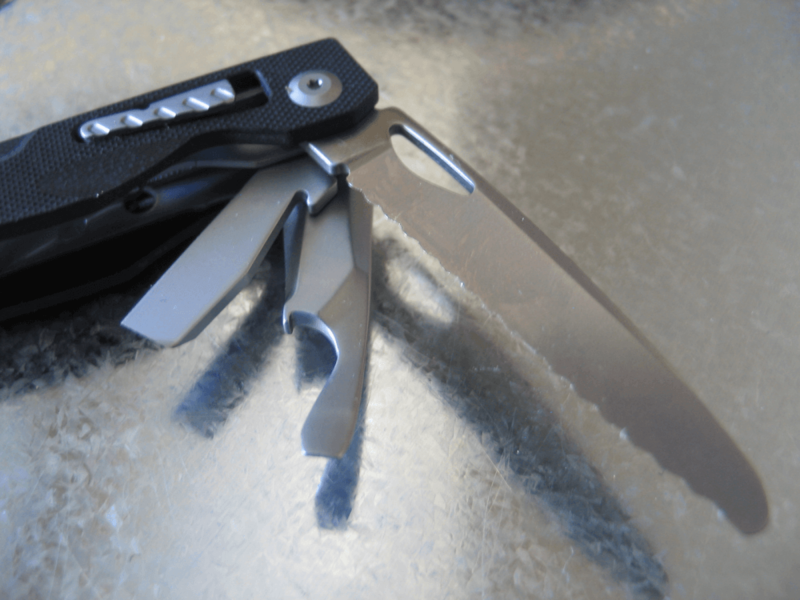 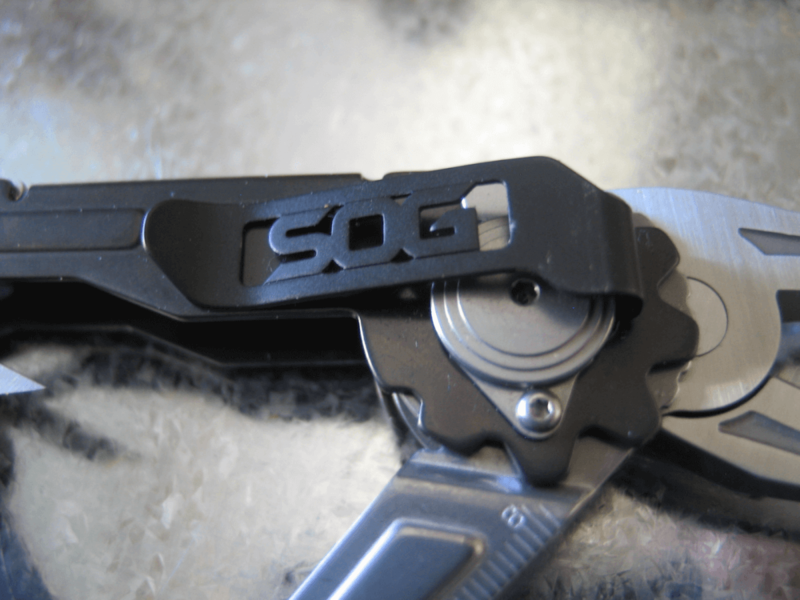 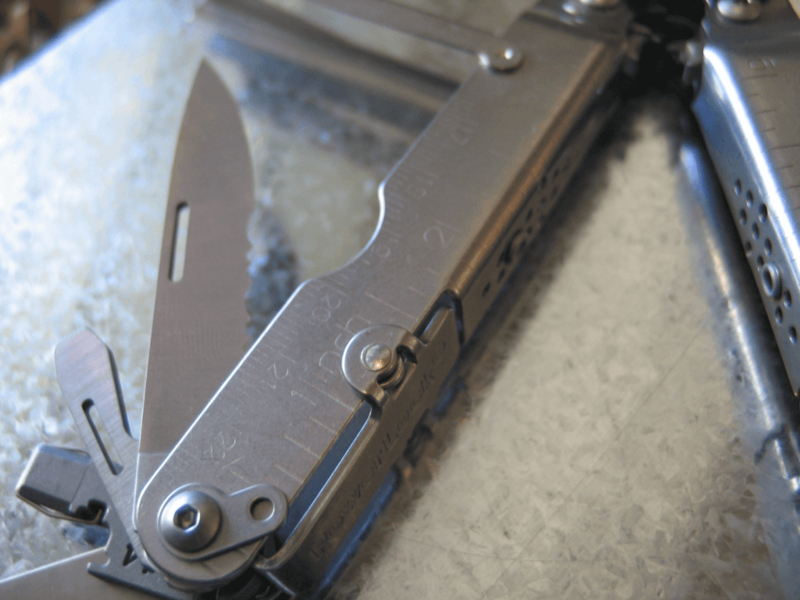 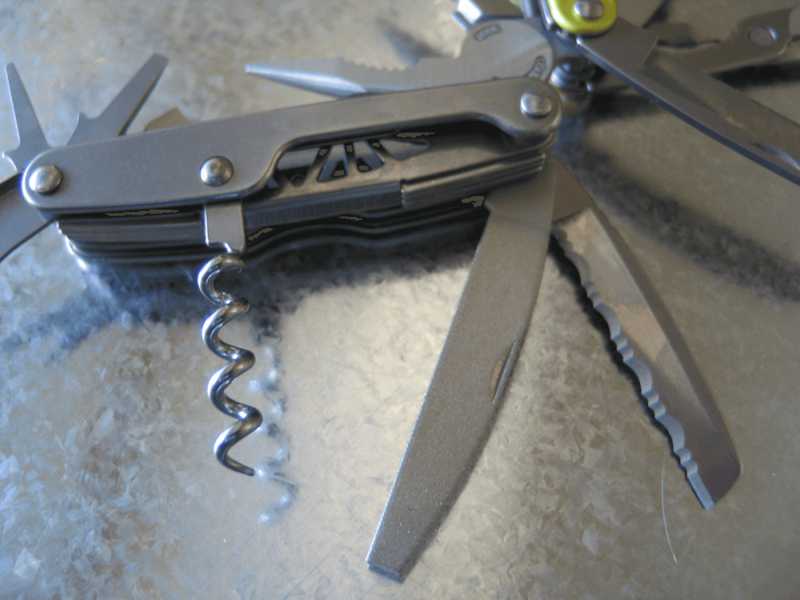 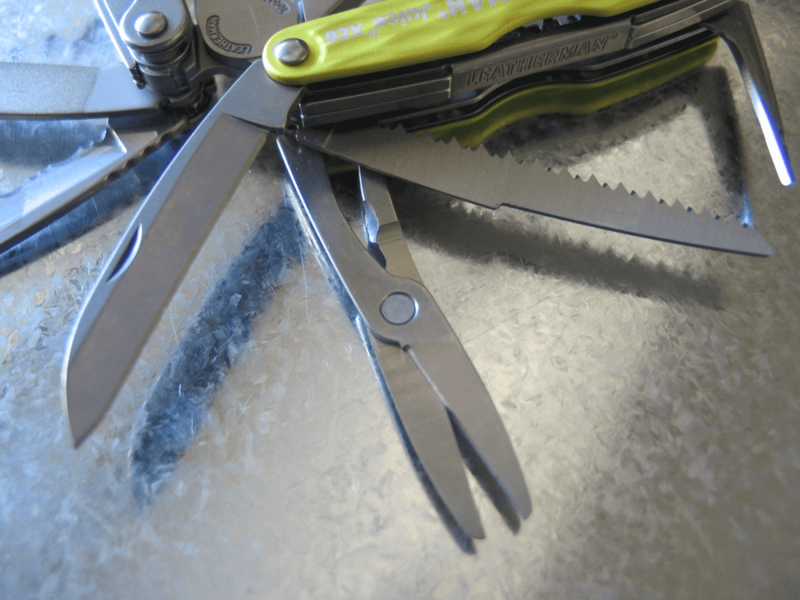 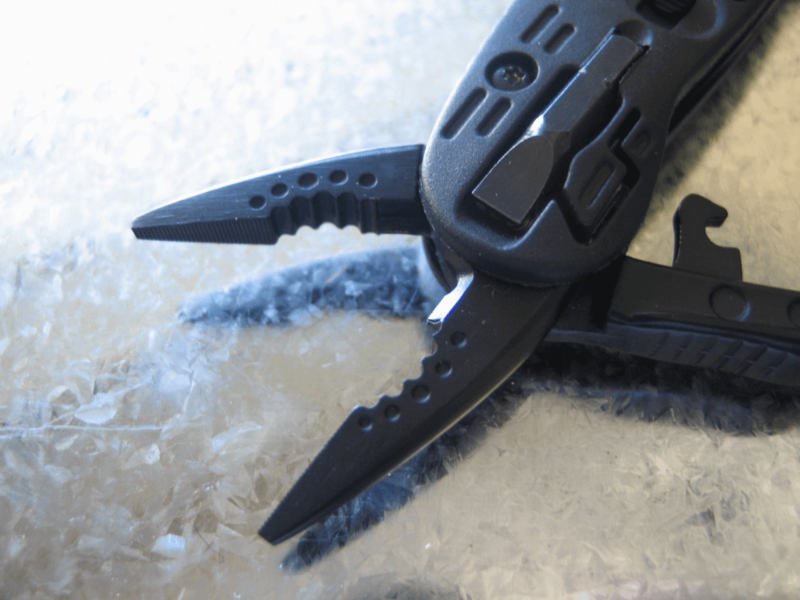 The ubiquitous multi-tool comes in hundreds of configurations and has quickly replaced the Swiss Army-style pocket knife in utility and function. 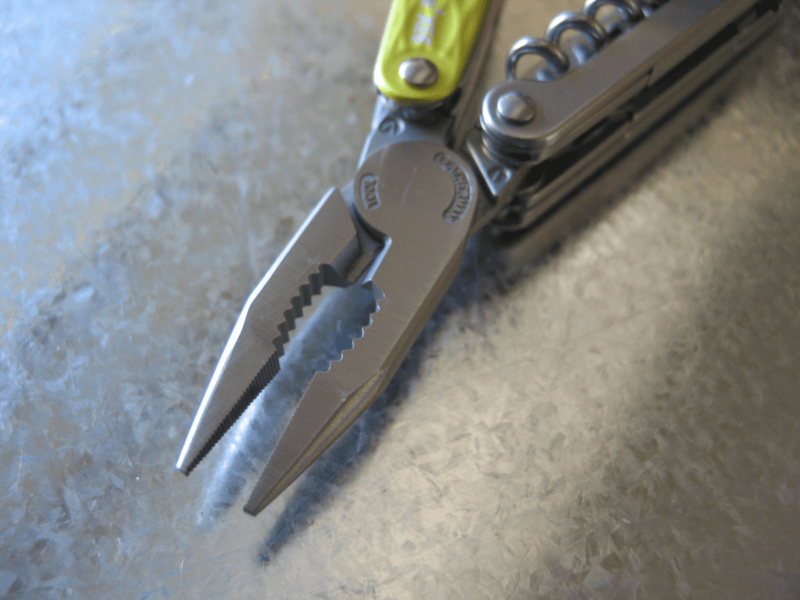 The modern multi-tool was first developed by Tim Leatherman in 1984 and dozens of companies around the world soon followed suit. 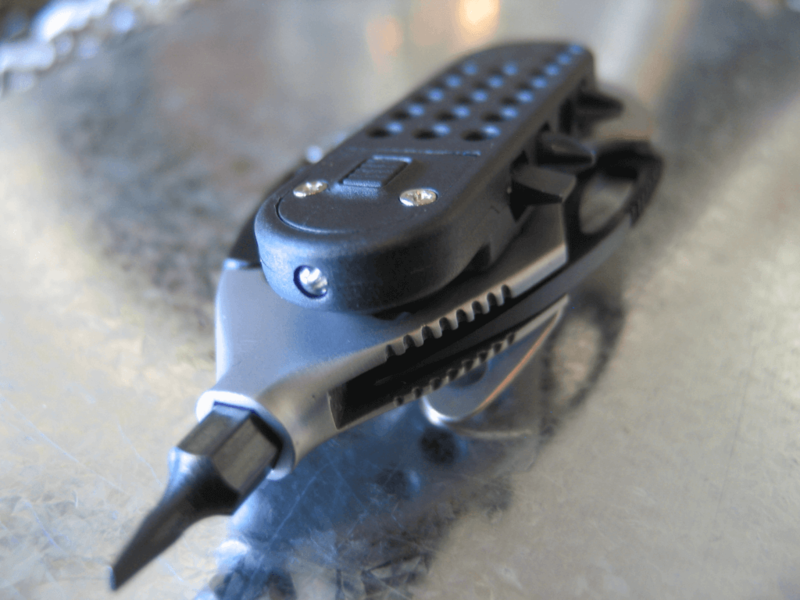 Tools can be found with up to 30 or more different functions, and some have branched off to become specialized, specifically for a certain type of weapon or for bicycles. 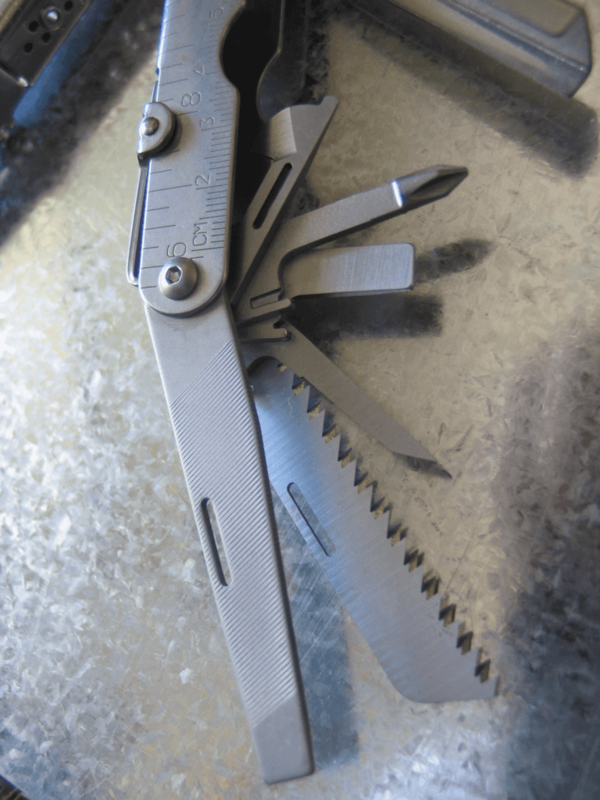 Most survival kits sold these days include a multi-tool, which goes to show if you don’t have one handy in an emergency or for everyday carry, you’re missing out on this very versatile piece of gear. Because it can fix anything no matter where you are, a multi-tool’s ability to do its job relies on your willingness to carry it. 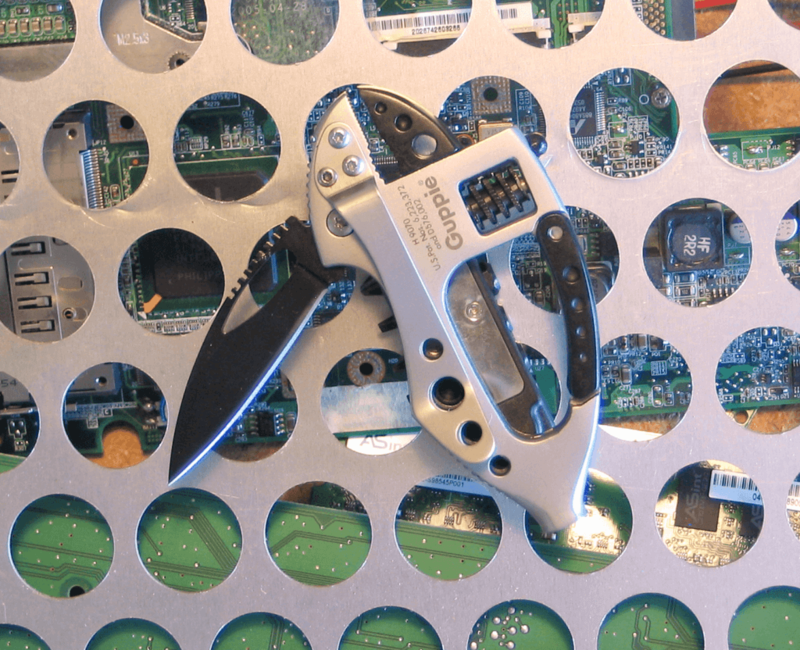 If your multi-tool is too big to carry comfortably then it is impractical; if it is too small to include the functions you normally need, it is unreliable. 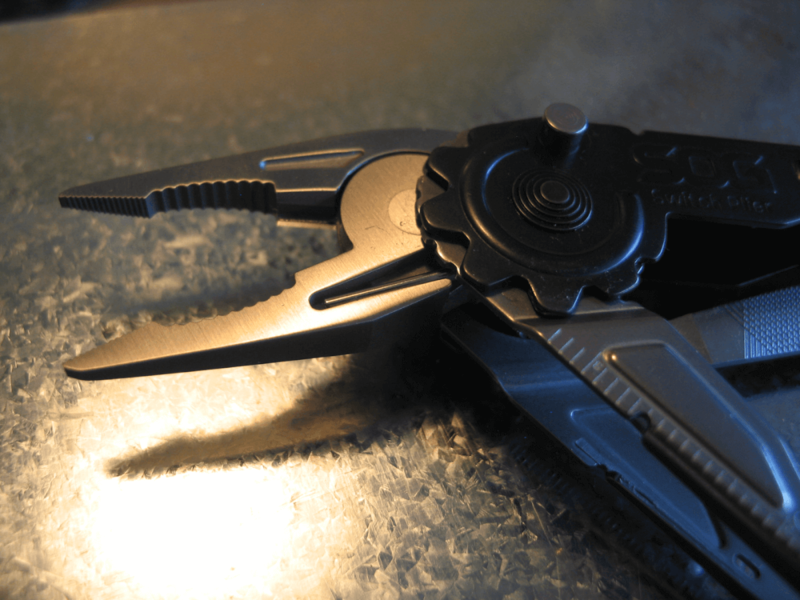 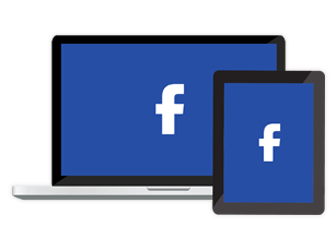 Somewhere in the middle — and the middle is different for everyone — is the perfect tool. 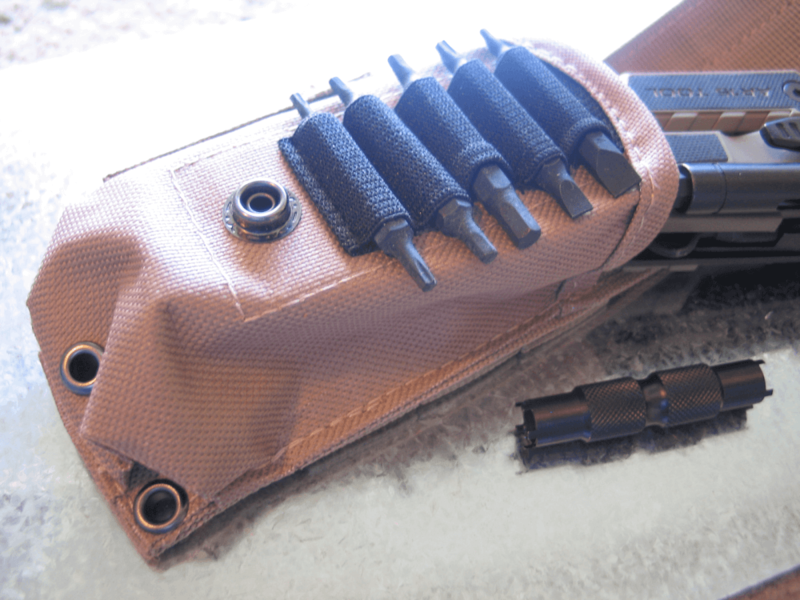 Identify your needs: Do you often need to fix a rifle in the field? 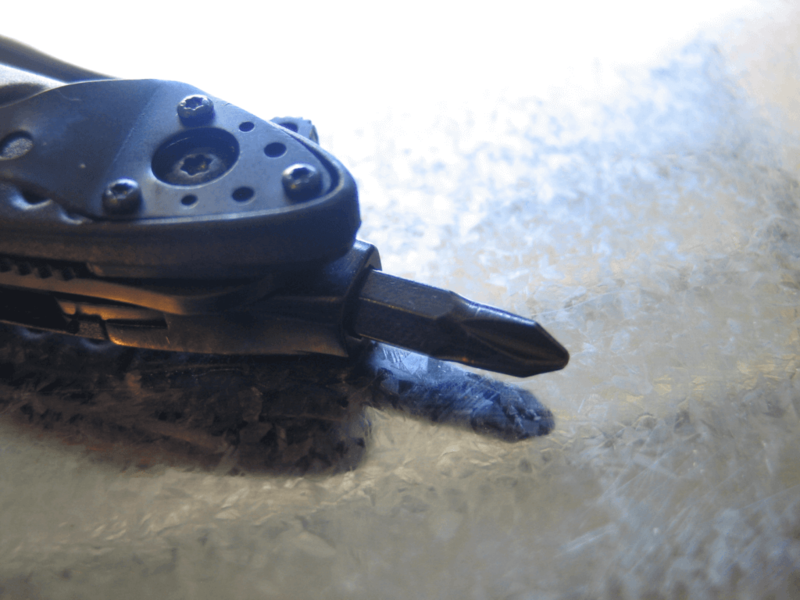 Are you a bike messenger? 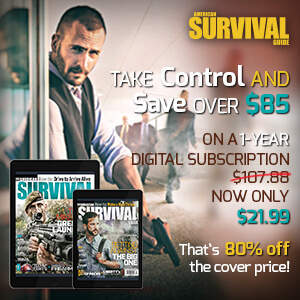 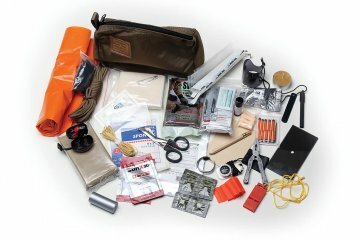 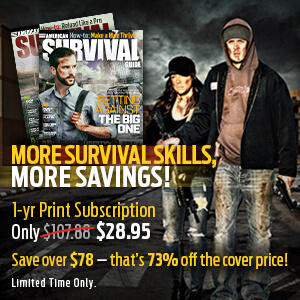 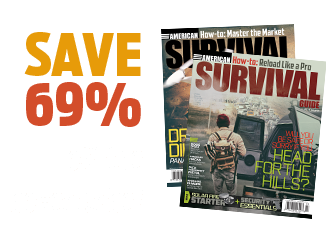 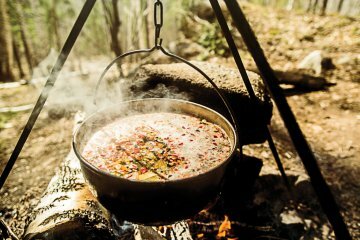 Are you looking for something to stave off the marauding hoards in a SHTF situation? 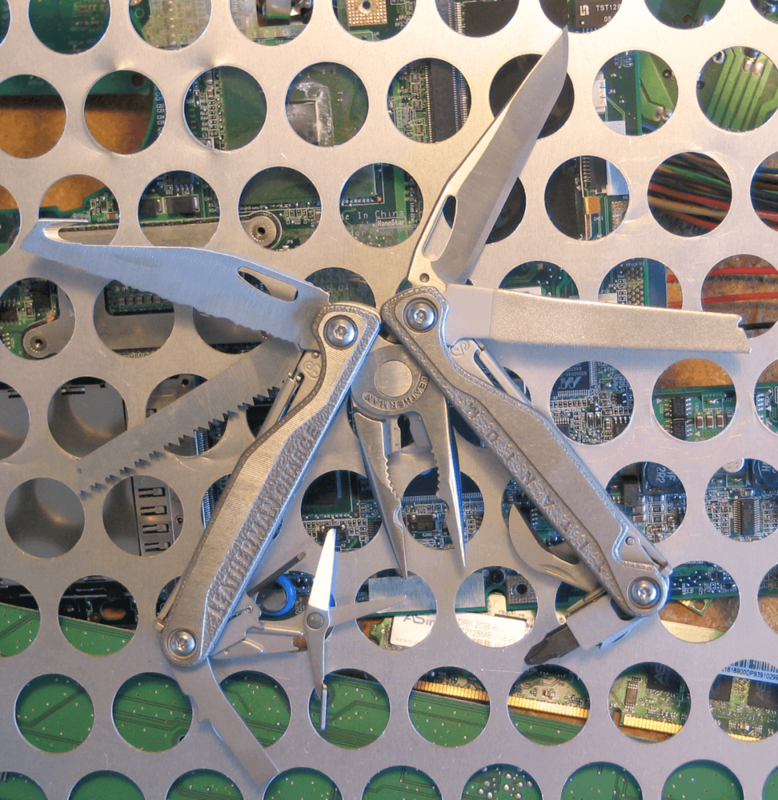 Don’t worry, there’s a multi-tool seemingly made specifically for you. 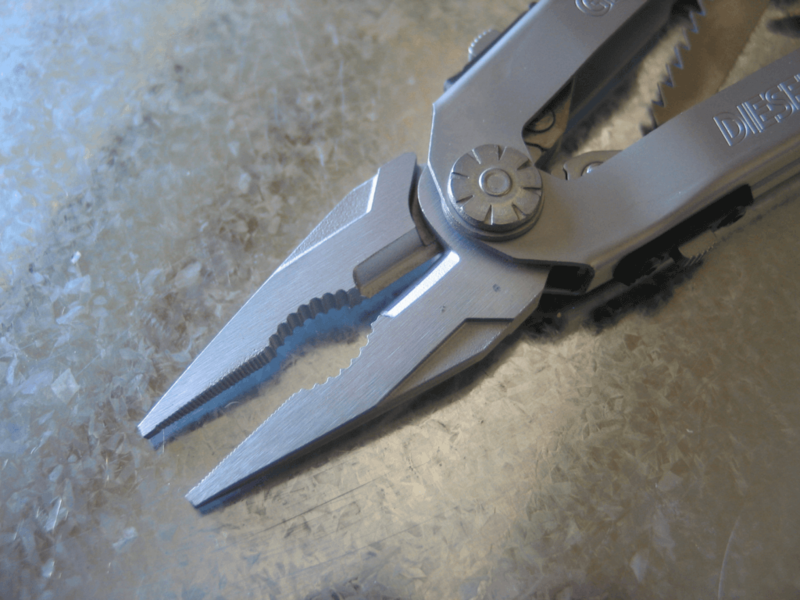 With the flick of a button out springs the pliers and handle. 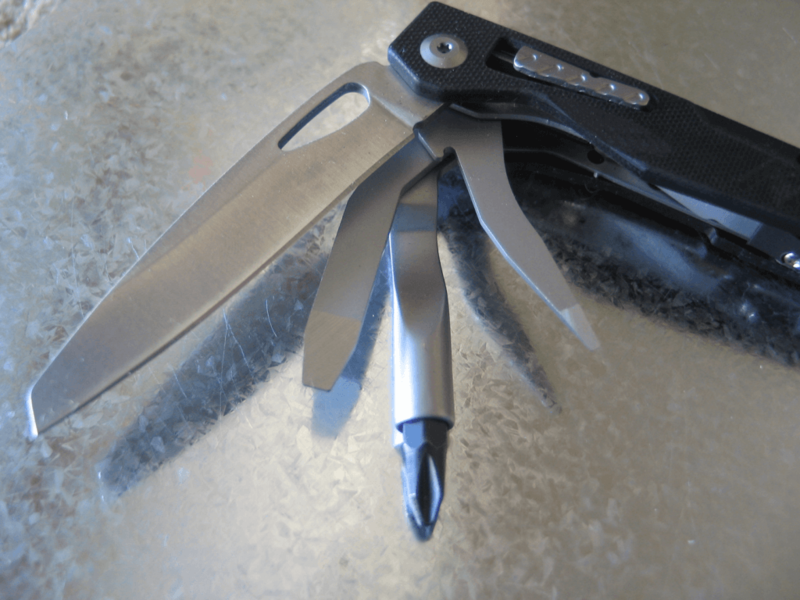 Made from 420 steel, the silver and black tool contains 12 functions. 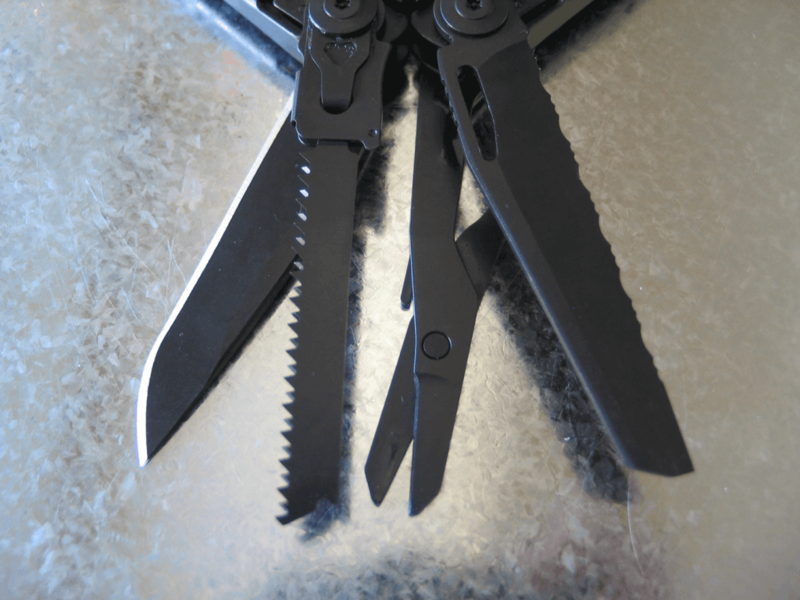 Finished in black oxide, the PowerAssist EOD weighs 9.6 ounces and is 7 inches long when open. 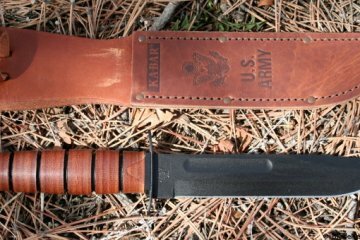 It comes with a tough nylon sheath. 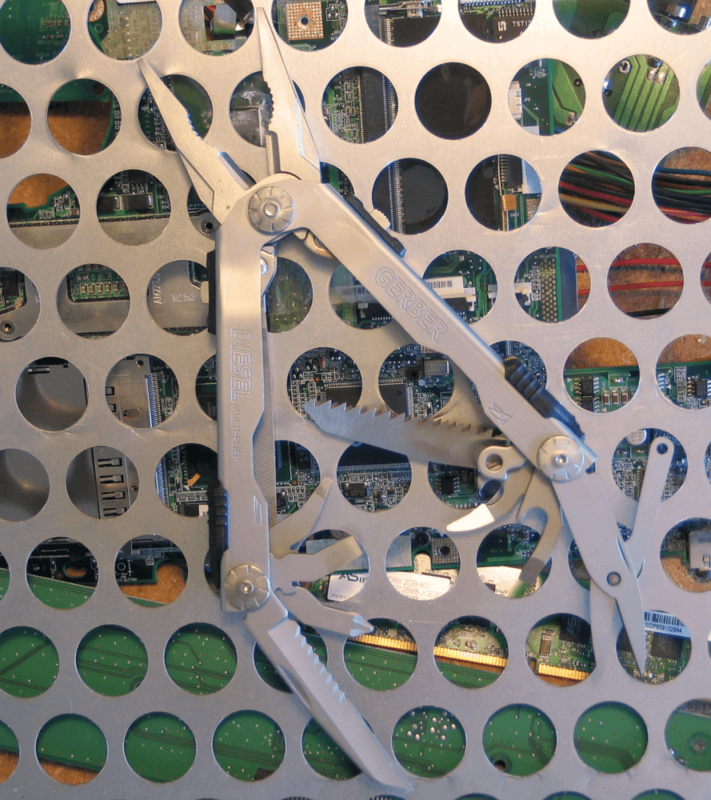 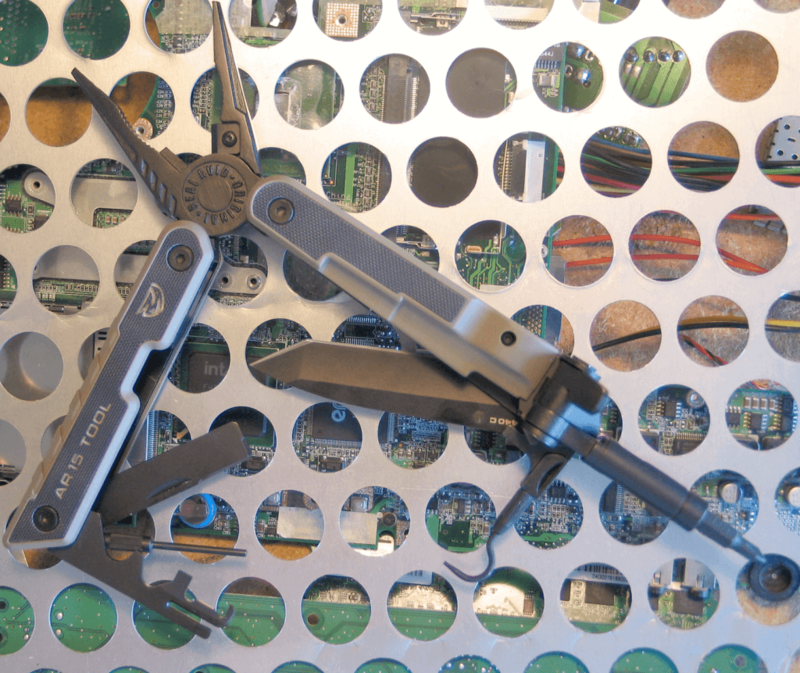 With a total of 18 tools, the Powerlock has stainless steel covers protecting the tools while being stored. 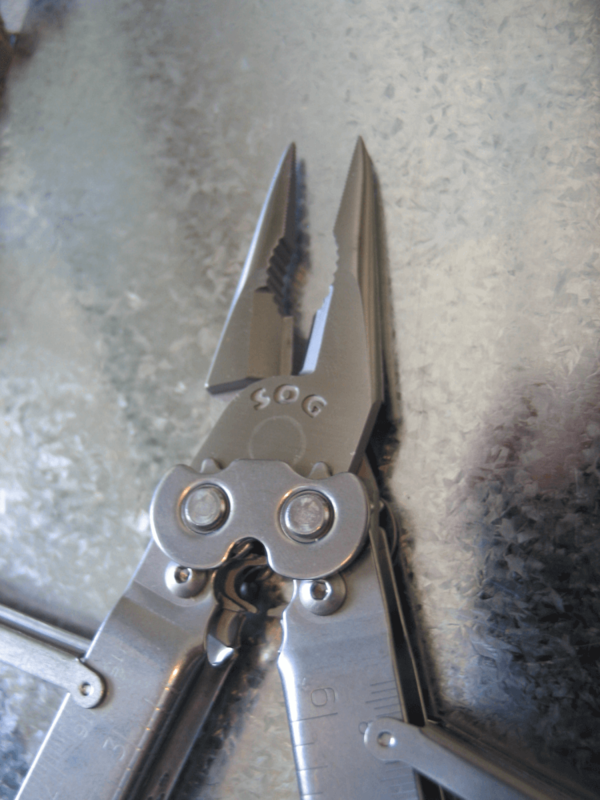 The tool weighs 9.6 ounces and is 7 inches long. 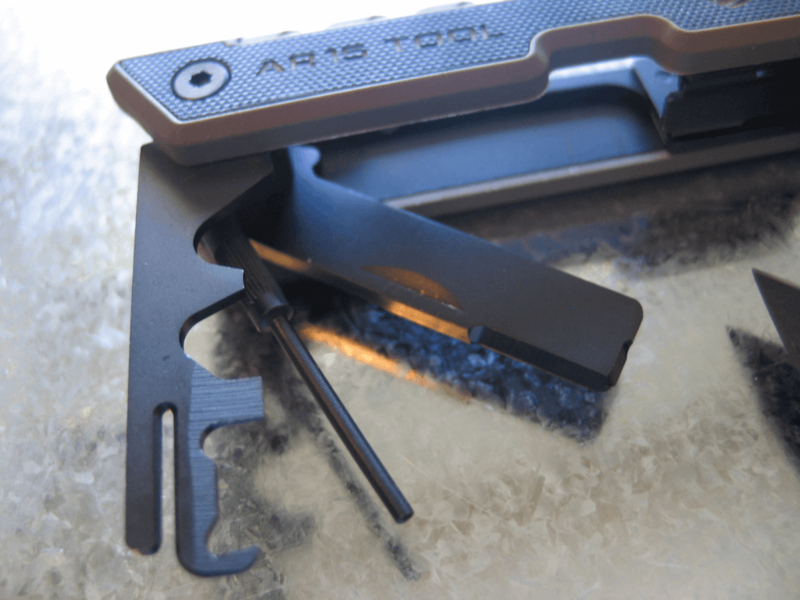 Keep your AR-15 in proper working order. 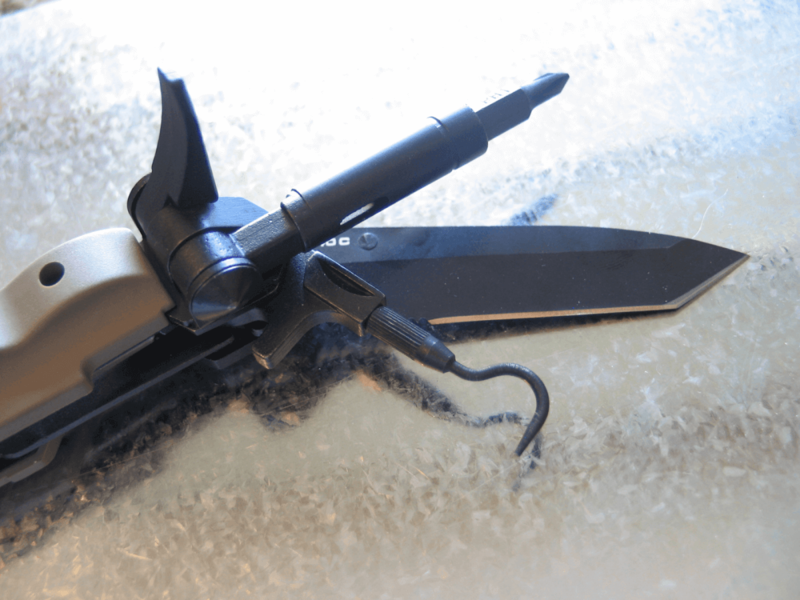 Mount optics, lights, rails, etc., or override a jammed bolt. 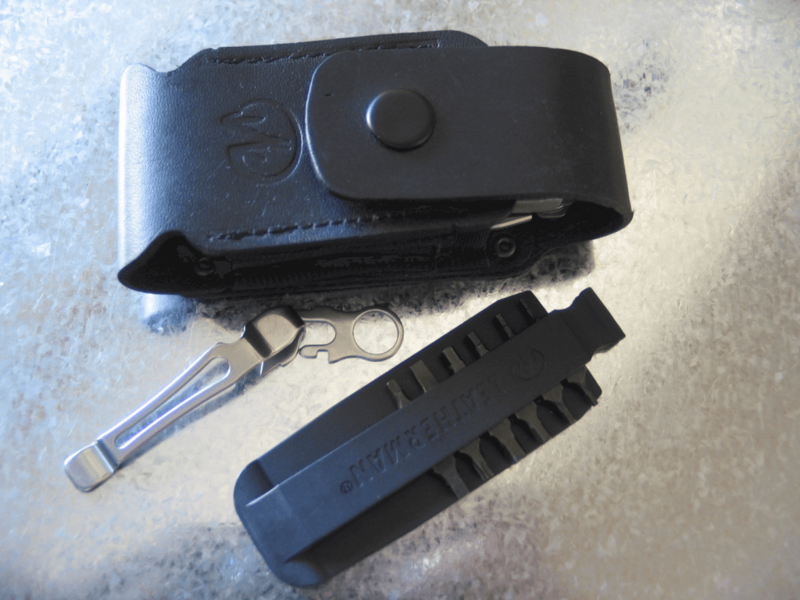 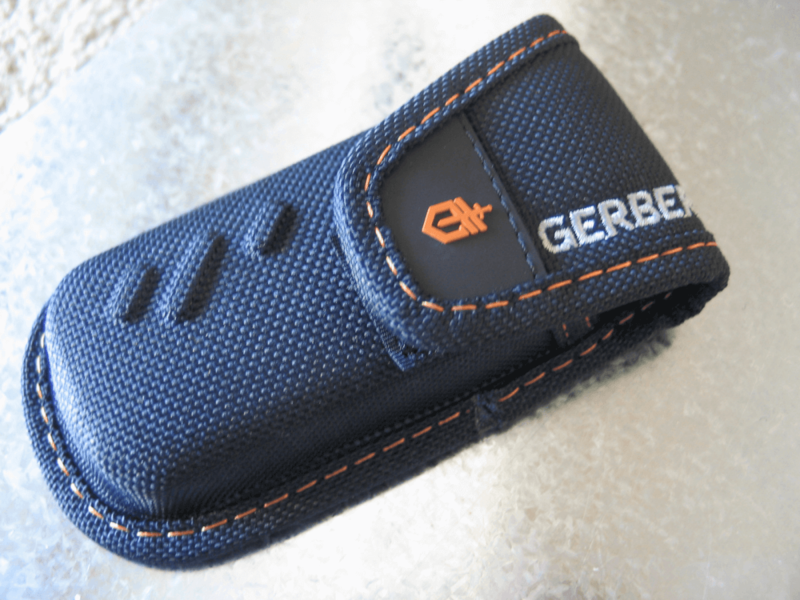 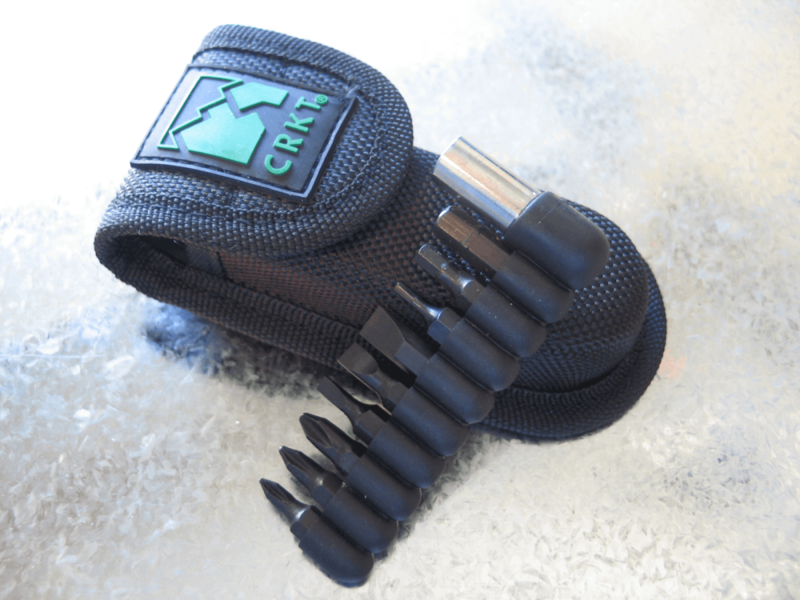 Disassemble and reassemble with this tool that comes with a MOLLE-compatible sheath. Voodoo’s easy-to-grip and inexpensive multi-tool has 420 stainless steel tools that mount inside the stylish anodized aluminum handles. 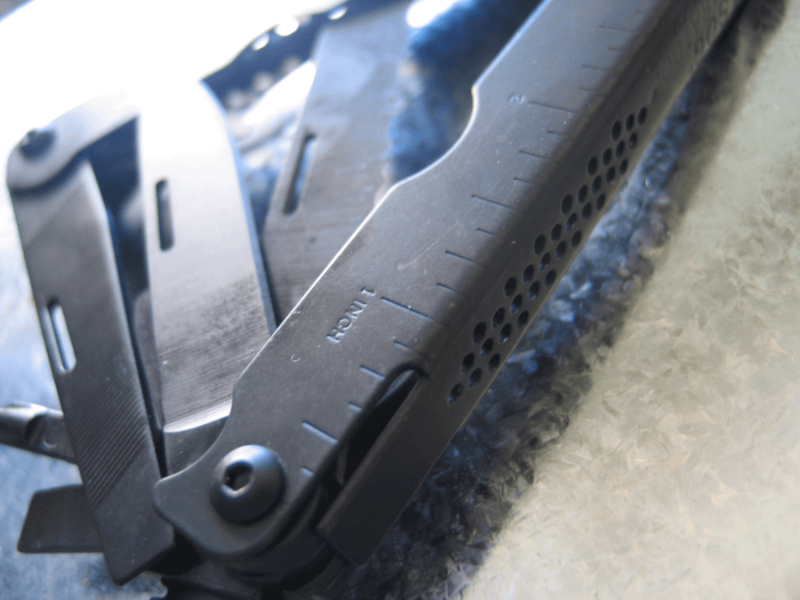 It measures only four inches when closed. 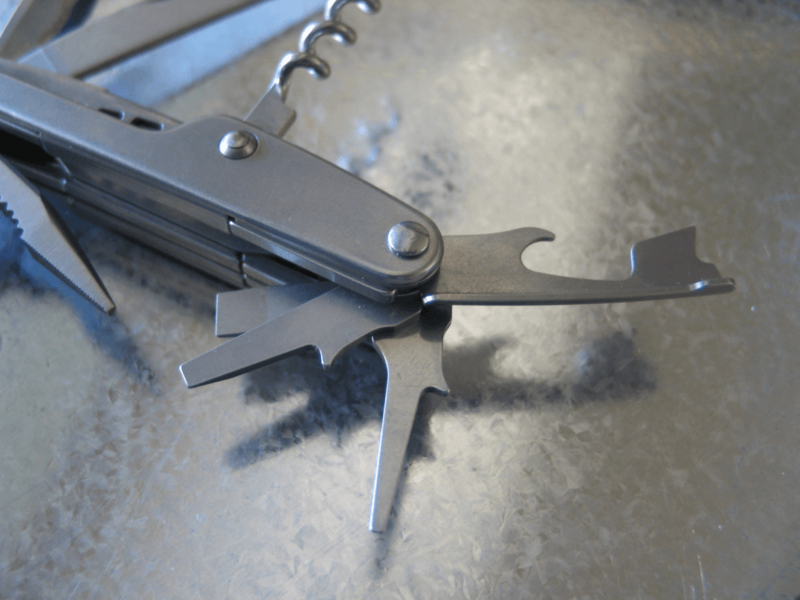 This pint-sized tool comes with a host of features making it a great addition to your pack or even as a keychain (also has a pocket clip). 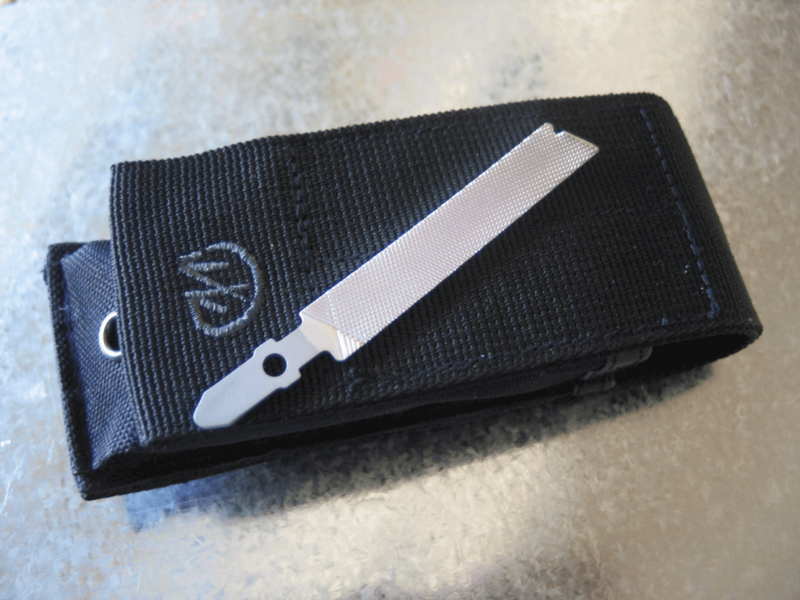 Only 3.5 inches long when closed, it weighs 4.1 ounces. 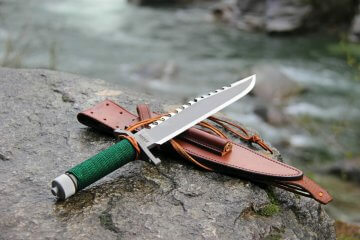 At 6.5 inches and 7.4 ounces, it is a large tool, but the included sheath makes it easy to carry. 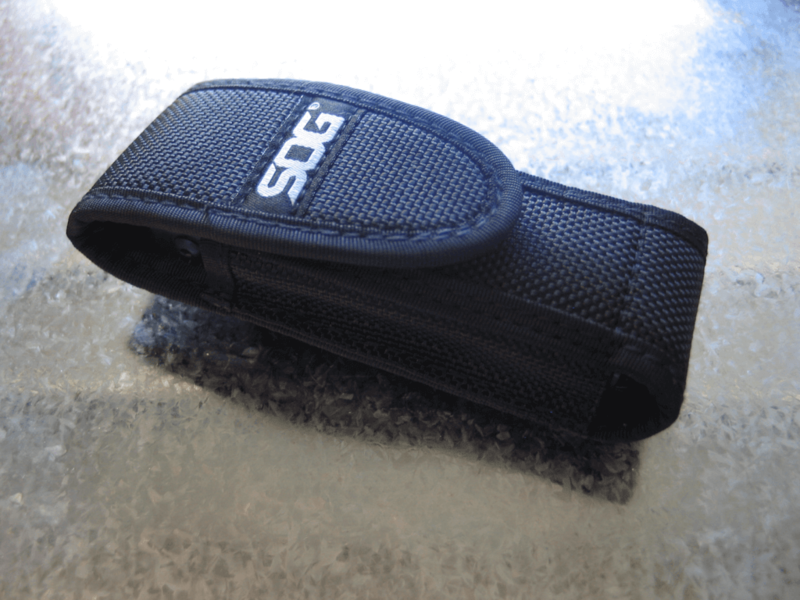 Made from black glass-filled nylon it is sparse on tools but high on quality. 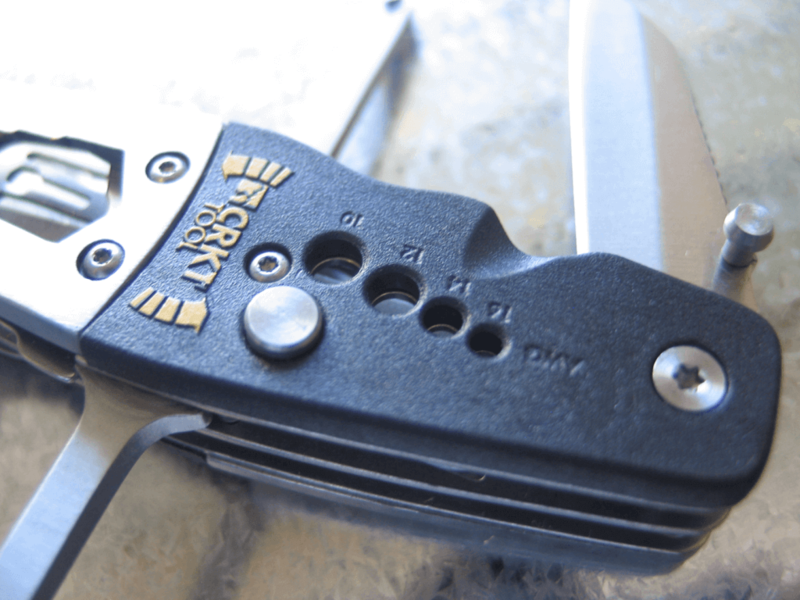 It comes in two colors (granite and moss — shown) with an optional sheath and engraving. 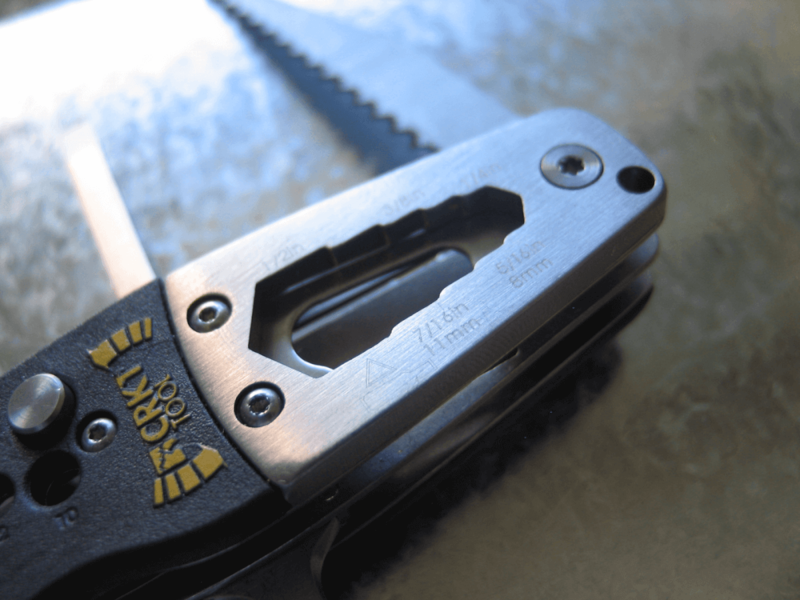 The XE6 is 6.9 ounces, only 3.25 inches long (closed) and has 18 tools. 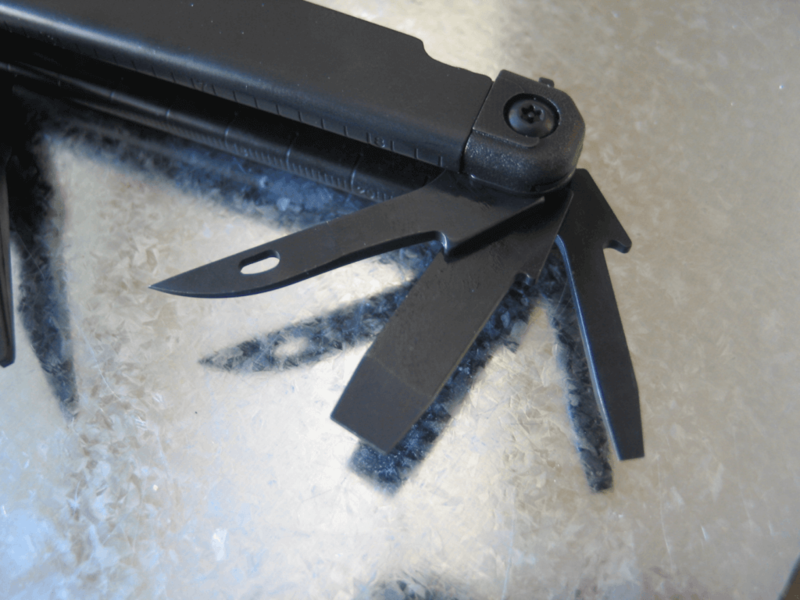 The tool’s molded composite G-10 grip is slip-proof and it comes with a molded sheath. 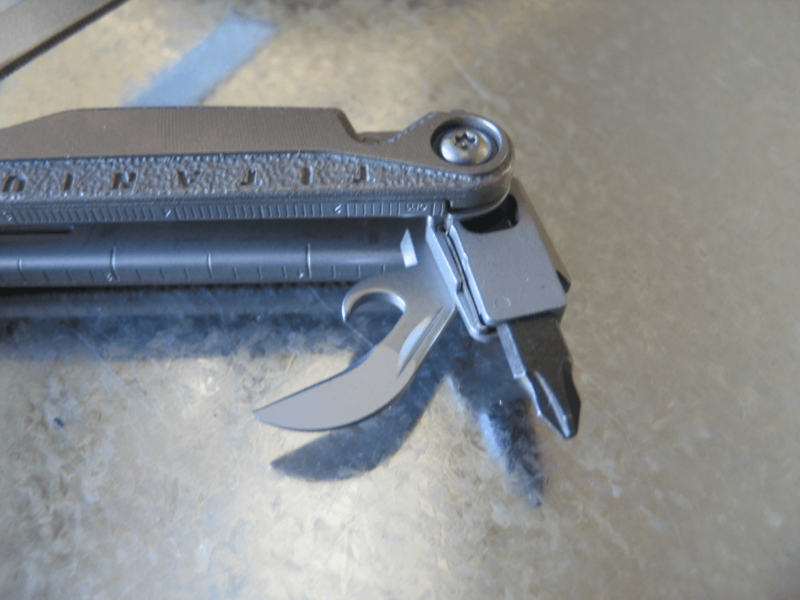 The tool is 8 ounces and 4.38 inches long (closed). The pliers are 6450 carbon steel and the knives are 420 stainless steel. 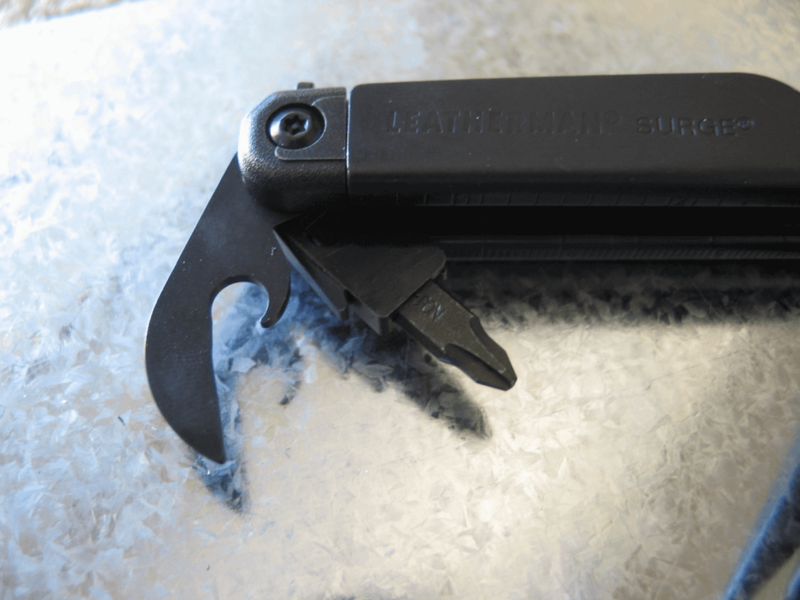 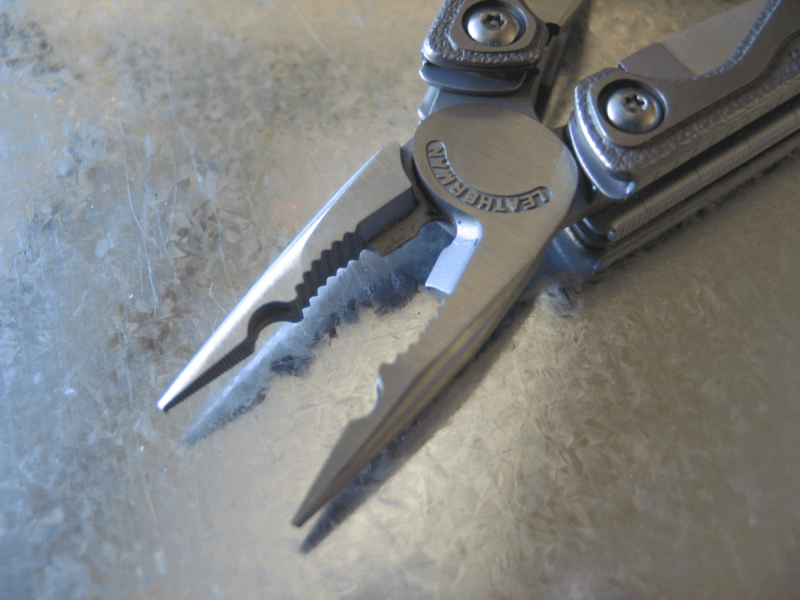 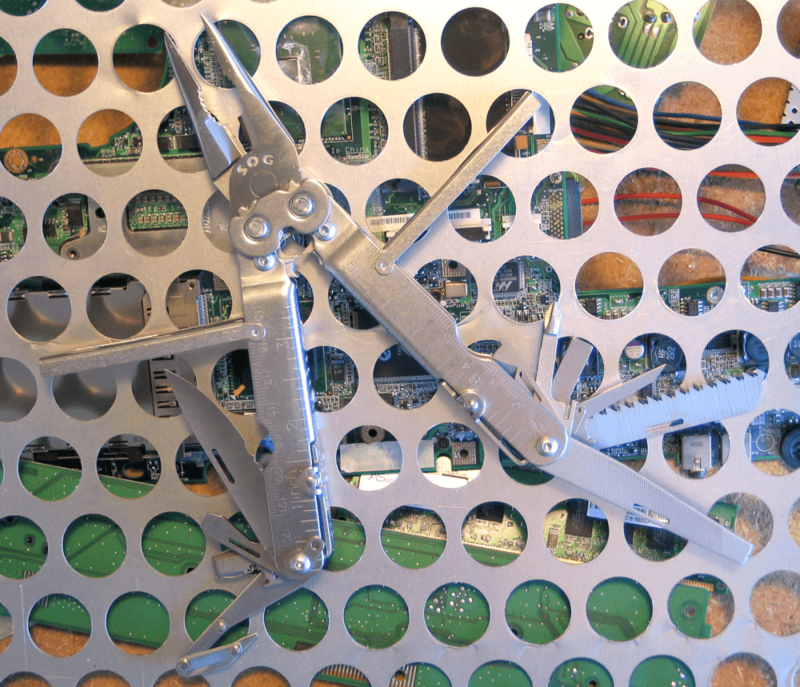 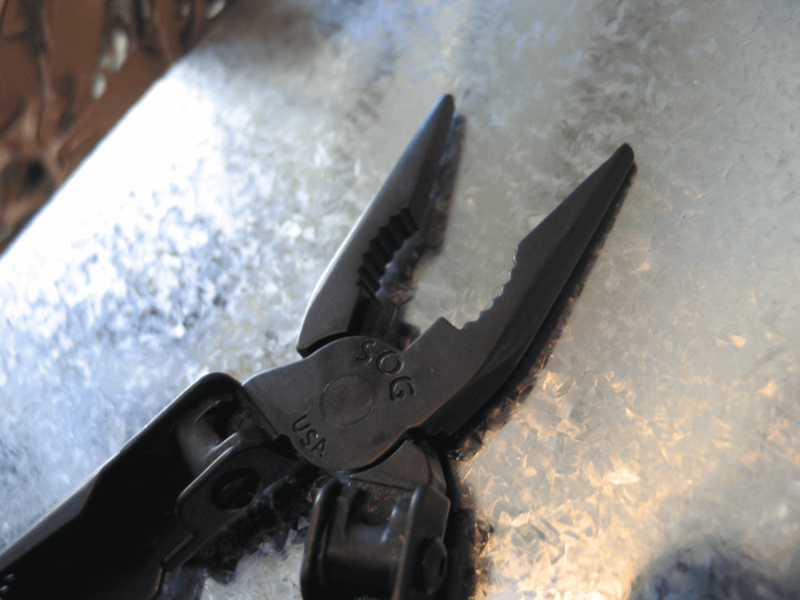 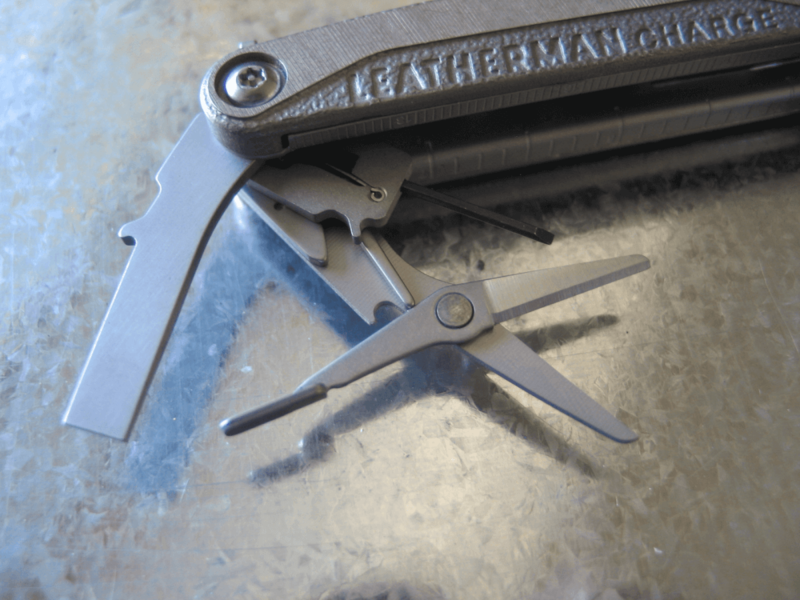 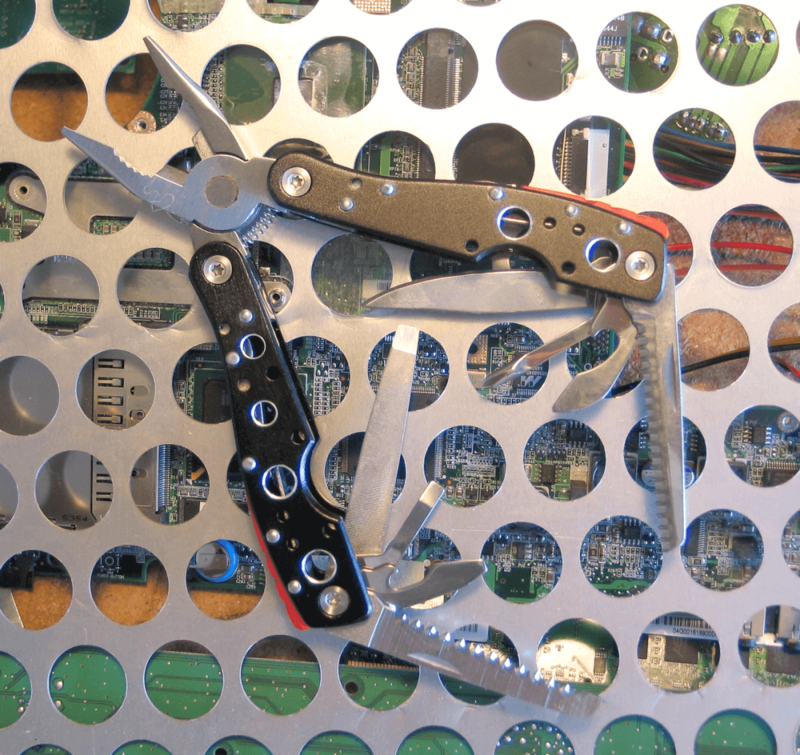 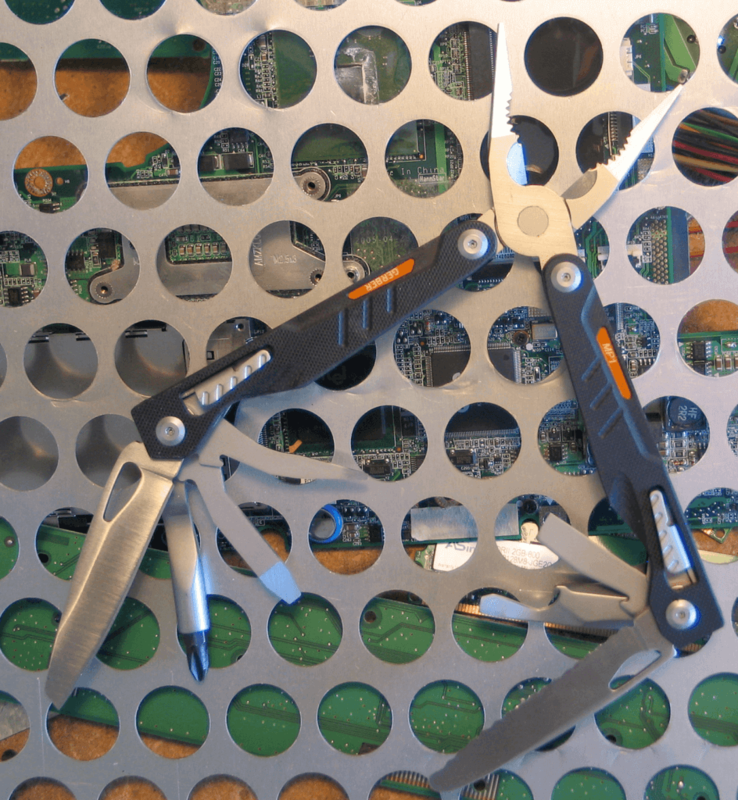 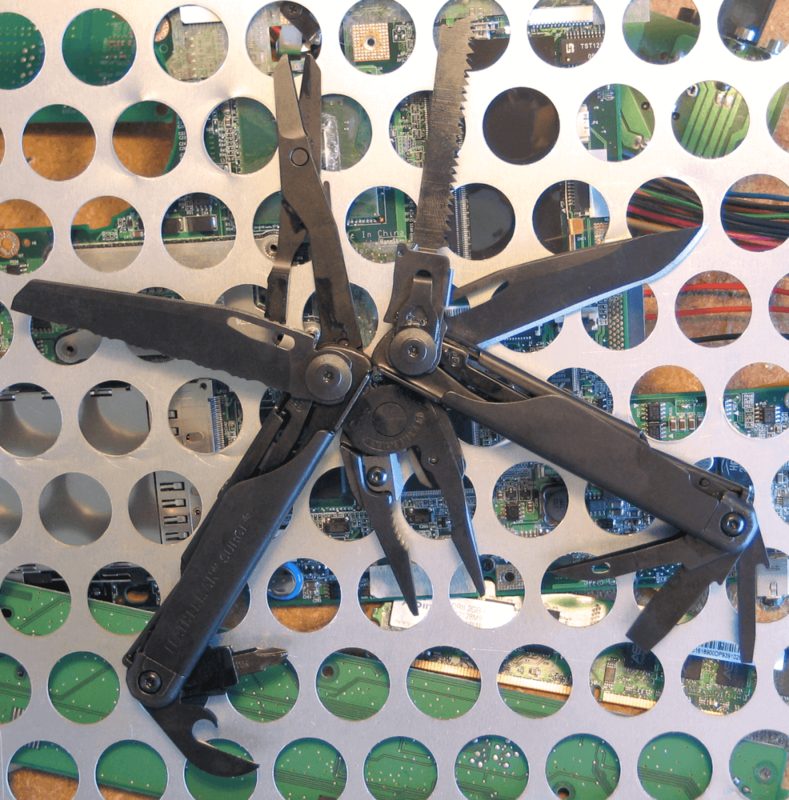 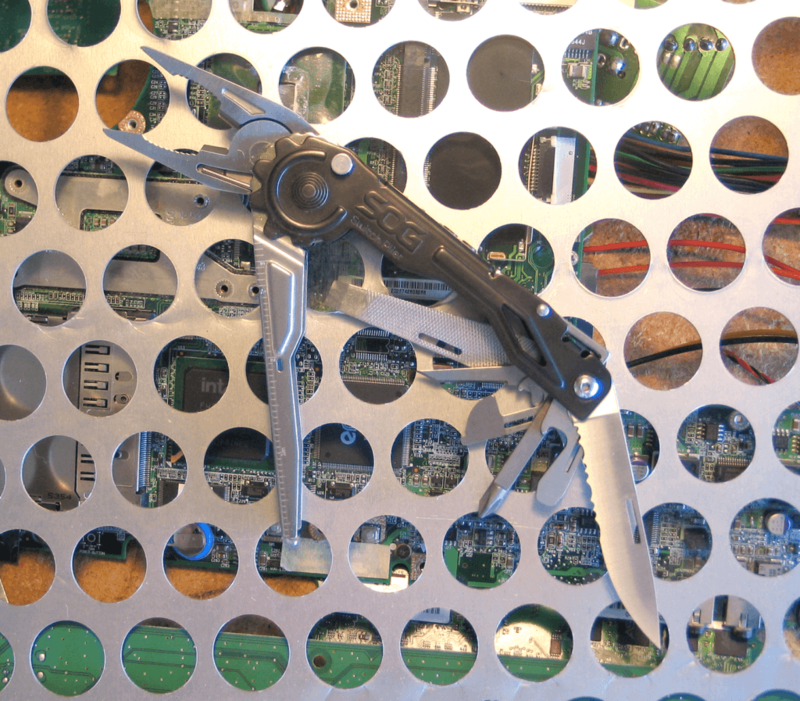 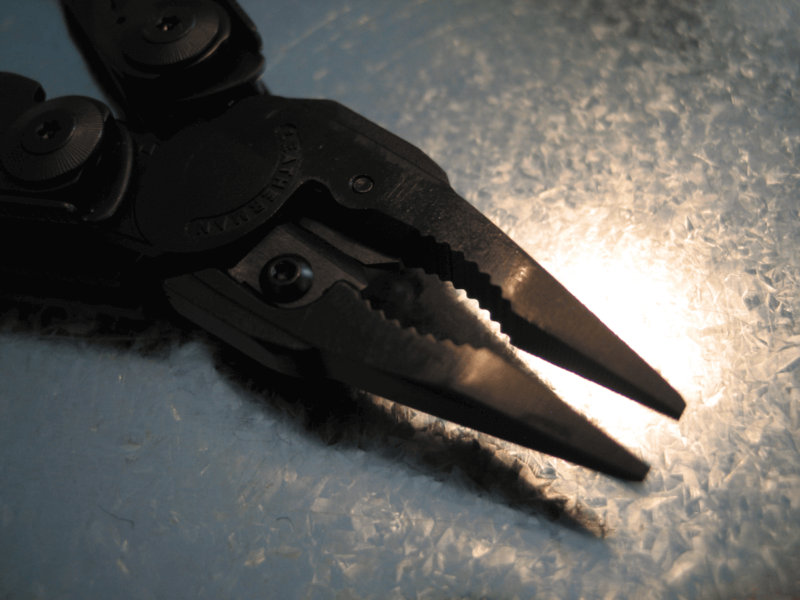 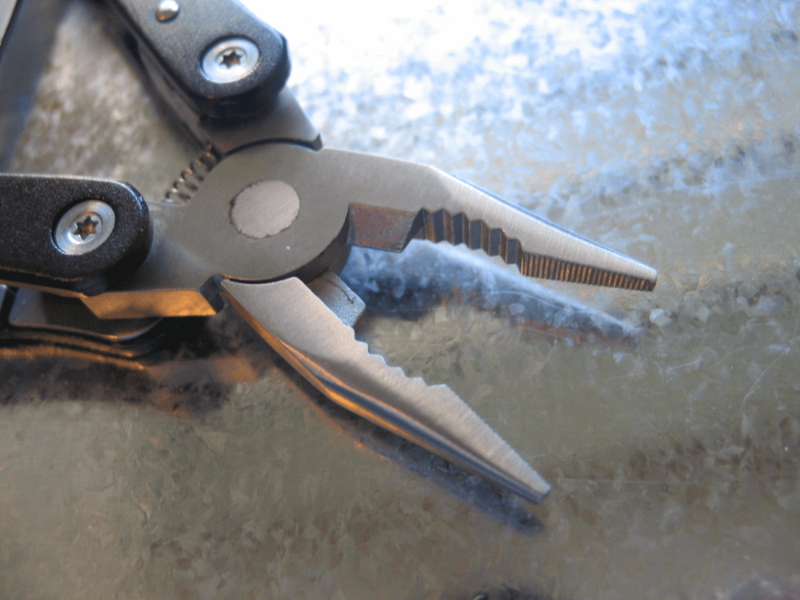 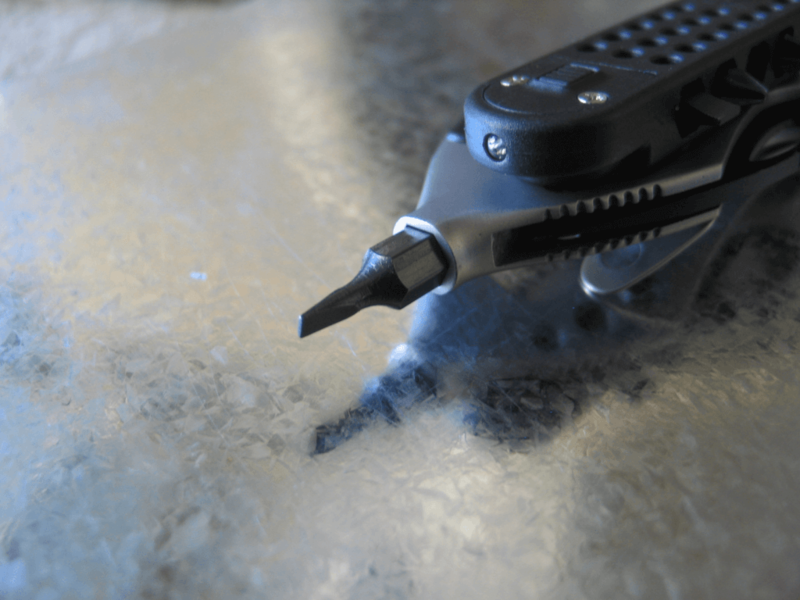 One of Leatherman’s largest tools, it features the largest tools in the line. 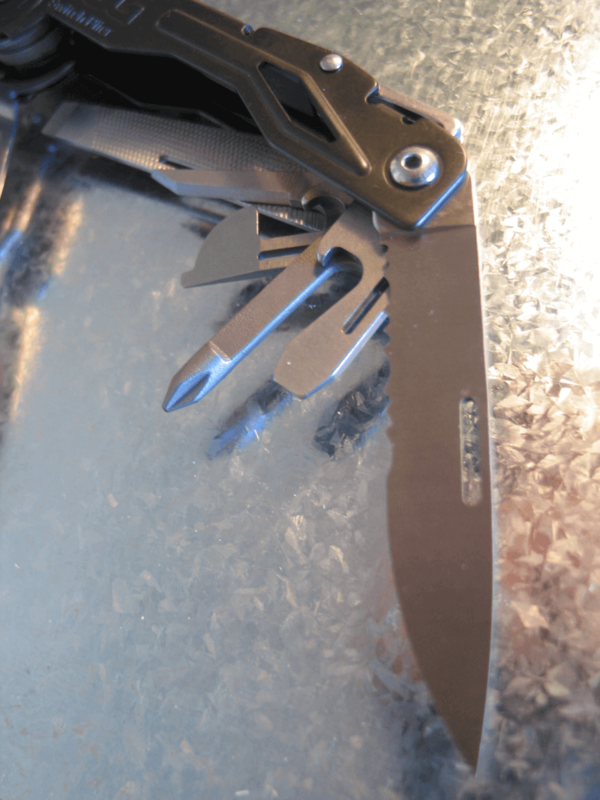 It weighs 12.5 ounces but is only 4.5 inches (closed) and is available in either stainless steel or black (shown). This multi-tool is a combination of all of Leatherman’s most requested features into one. 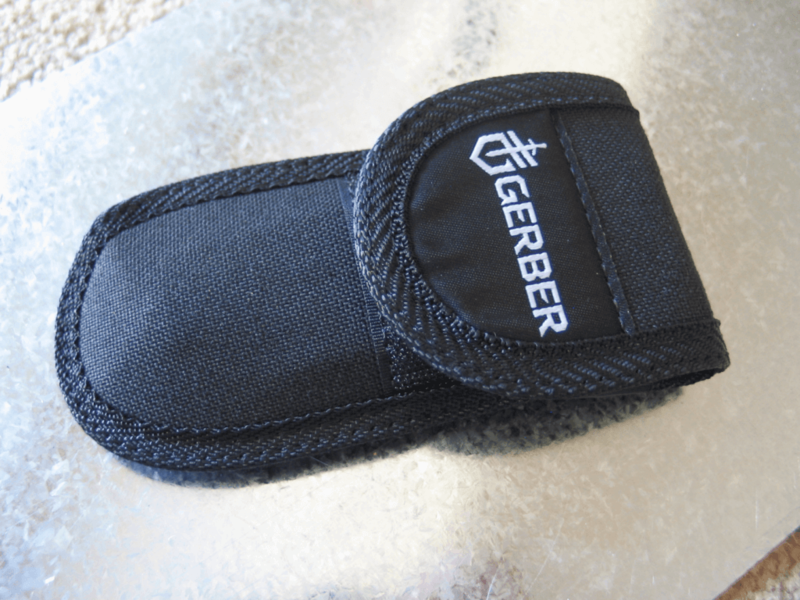 It features titanium handles and a leather sheath, as well as a multitude of drivers in a separate pack. 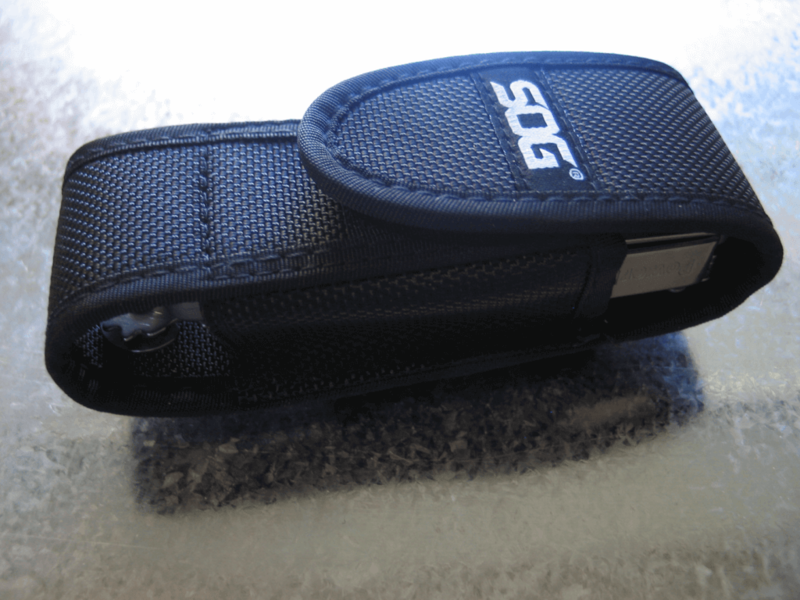 It weighs 8.2 ounces and is 4 inches long (closed). 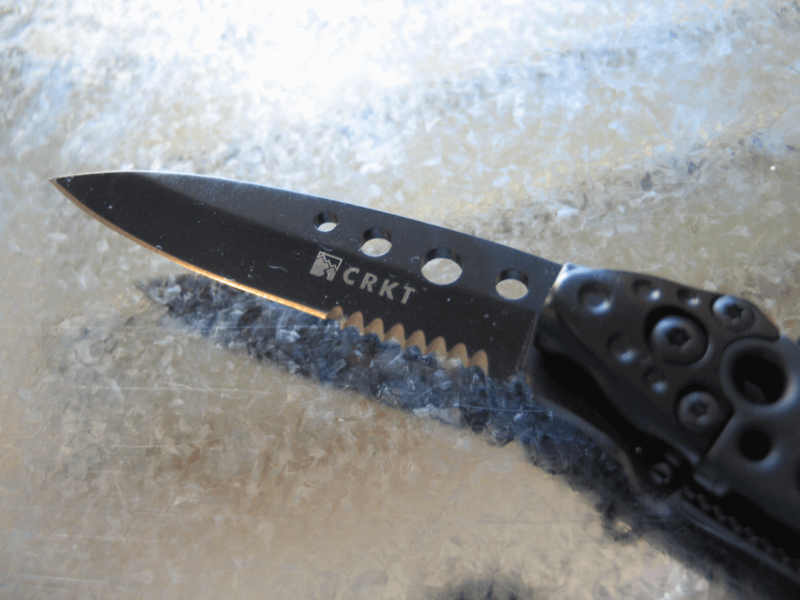 Creatively designed to allow a variety of tools in a small space, the CRKT tool is 4 inches long (closed) and 5.1 ounces. 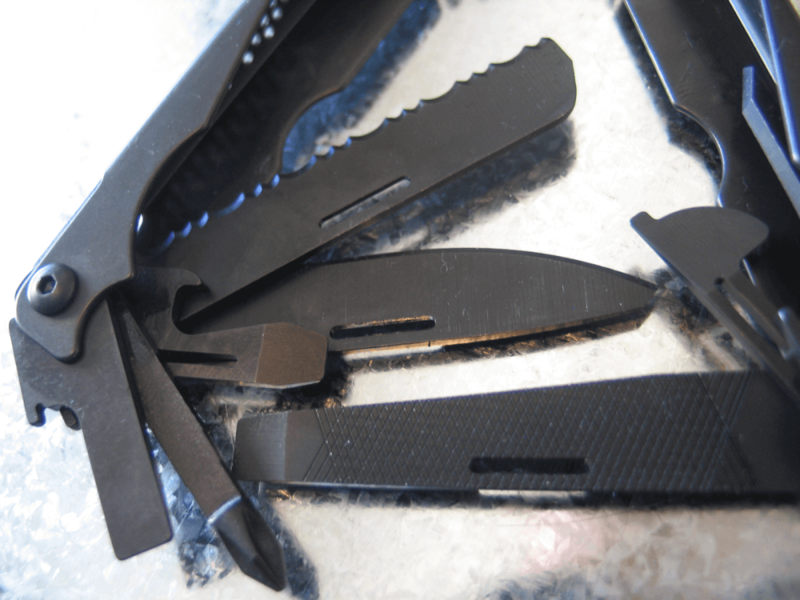 The skins are glass-filled nylon, while the main blade is 5CR15MoV steel. 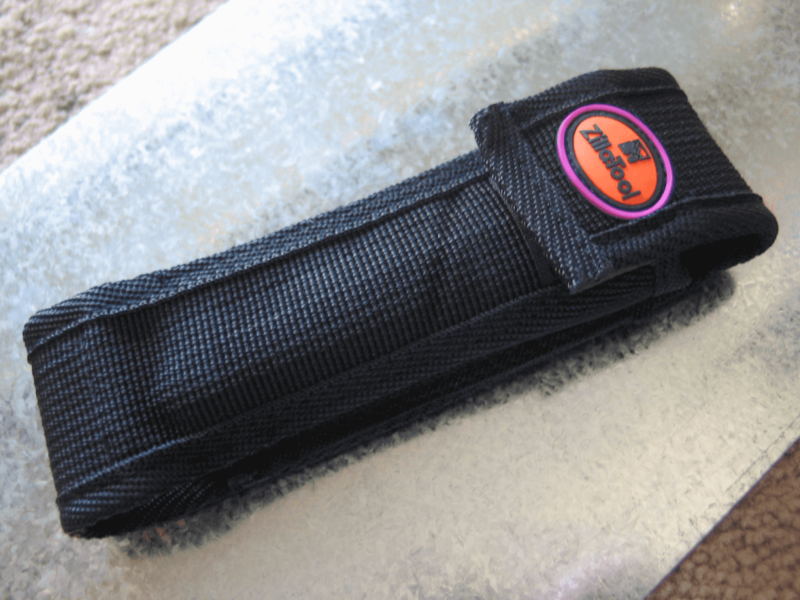 It comes with a molded nylon sheath. 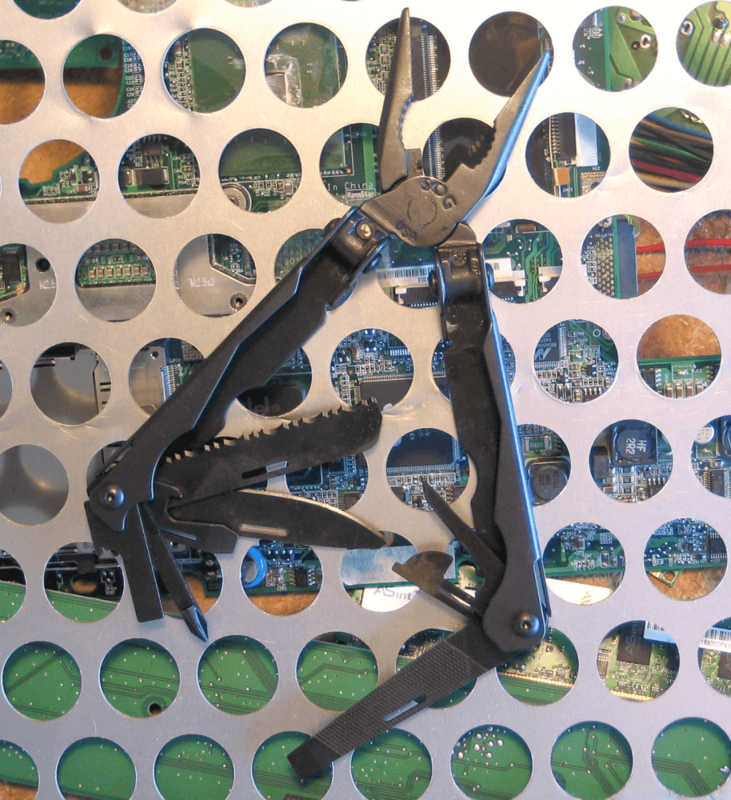 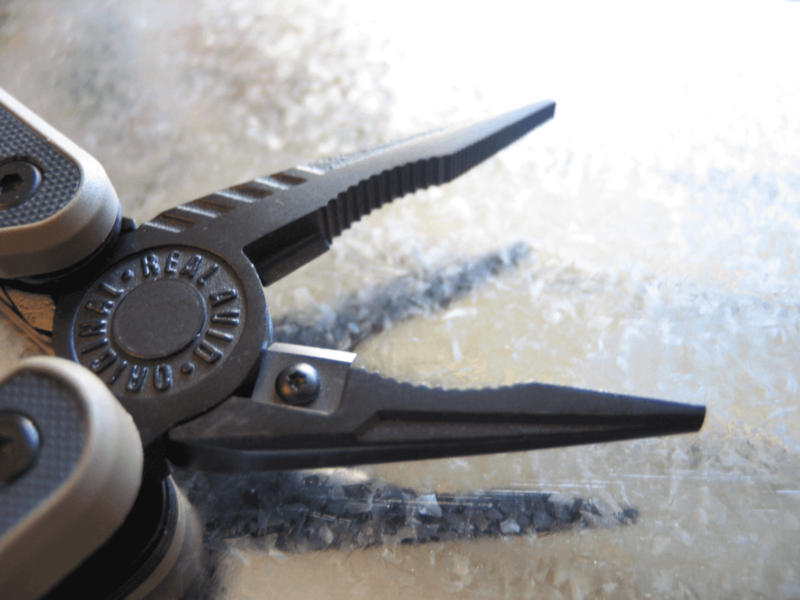 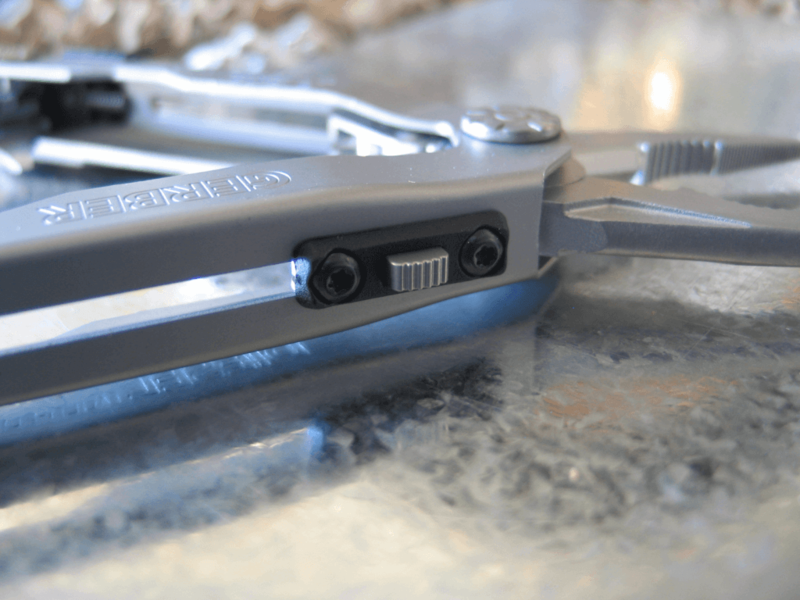 With innovative slide locks, the pliers can be accessed with one hand. 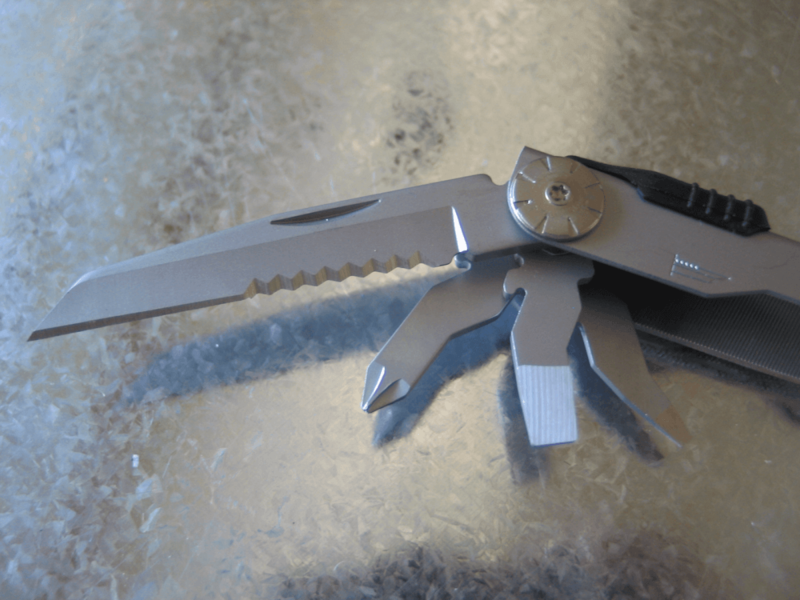 Made from stainless steel, it weighs 8.6 ounces and is nearly 5 inches long when closed. 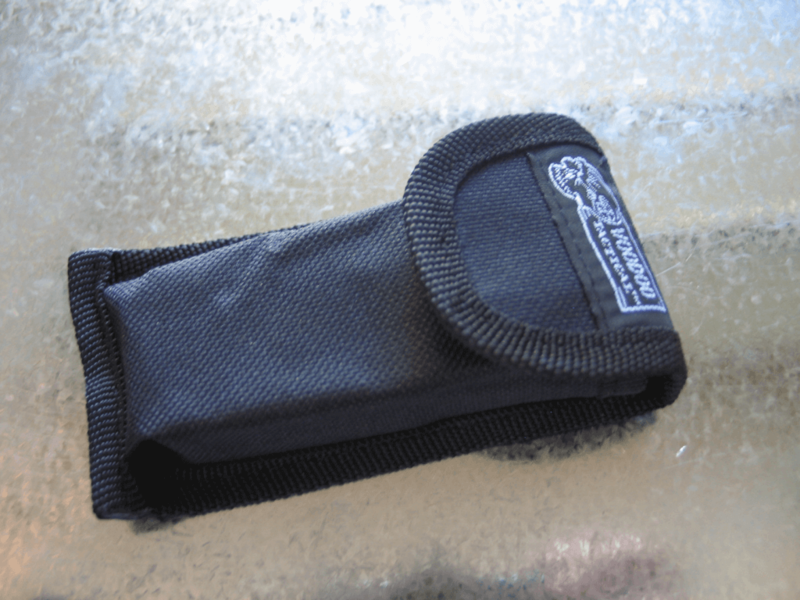 It comes with a nylon sheath. 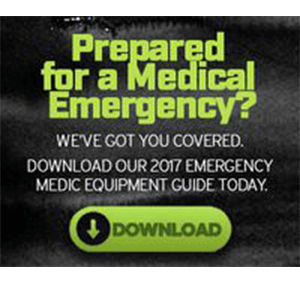 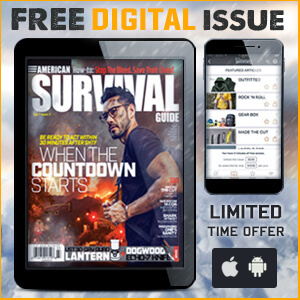 Editor’s note: A version of this article first appeared in the April 2015 print issue of American Survival Guide.